This tutorial explains how to use Avid Media Composer’s Media Creation settings to prevent offline media. 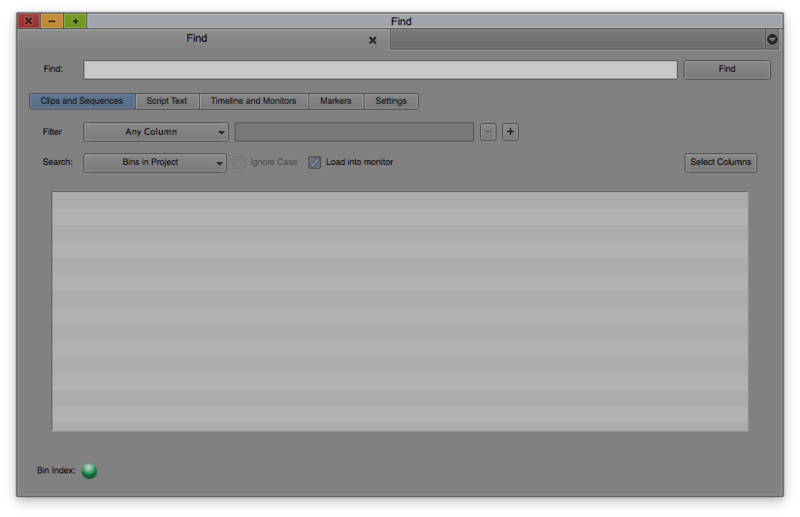 MC’s Media Creation settings allows you to set what drive and resolution media is created to. TL;DR set this drive and resolution when you first open up a project so the next time you open the project none of your media is offline because it was created to the correct drive. Music used in this video, “Back To My House” by PALA, was purchased and licensed through my friends at Soundstripe (affiliate link). For 10% off a subscription use the code EVF at checkout. Hey! This is the first lesson in a series on mastering Avid Media Composer’s keyboard shortcuts. We’ll go through pretty much every keyboard shortcut in Media Composer in this series. If you’ve taken either of my quizzes (Quiz 1 and Quiz 2) and/or you are interested in becoming a faster, more efficient editor than this series is for you. Each lesson we’ll tackle a handful of shortcuts. 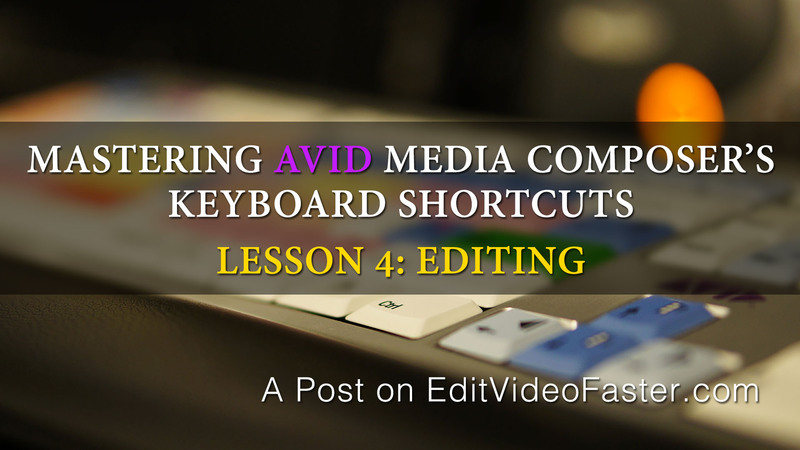 We’ll go through what the shortcut is and for some I’ll comment on the tool, function or whatever the shortcut does based on my experience using Media Composer hour after hour over the past seven years. Okay, enough talking. Let’s get into our first lesson! There are a bunch of tools in Media Composer. There’s the Audio Mixer, Audio EQ, Composer, Effect Editor, Media Tool and more. Ten (10!) of them have simple shortcuts. In this lesson we’ll cover them. 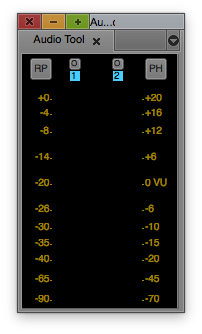 The Audio Tool shows the audio levels (how loud or soft it is) in visual form. 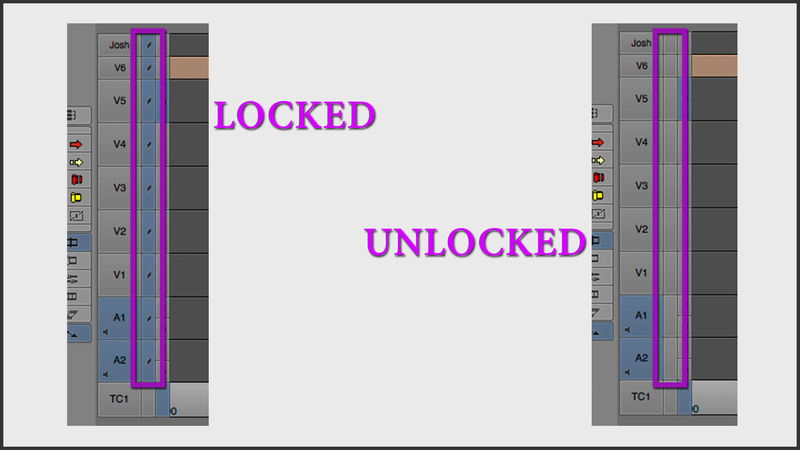 Once you hit play the Audio Tool goes up and down based on the audio that’s being played at that frame. There’s a small sideways Audio Tool at the top of the Timeline. However the normal Audio Tool makes it much easier to see. I tend to always have this tool open. 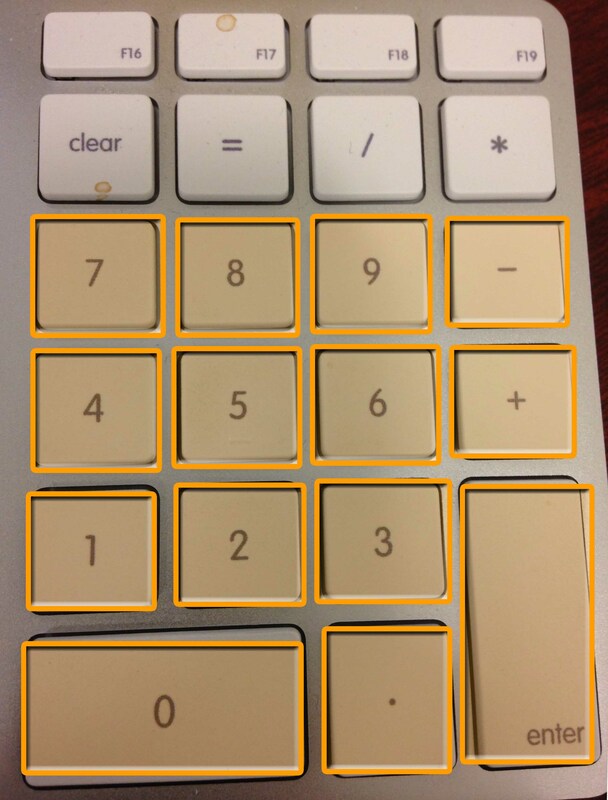 Did you know Media Composer had a calculator? This isn’t your ordinary calculator either. 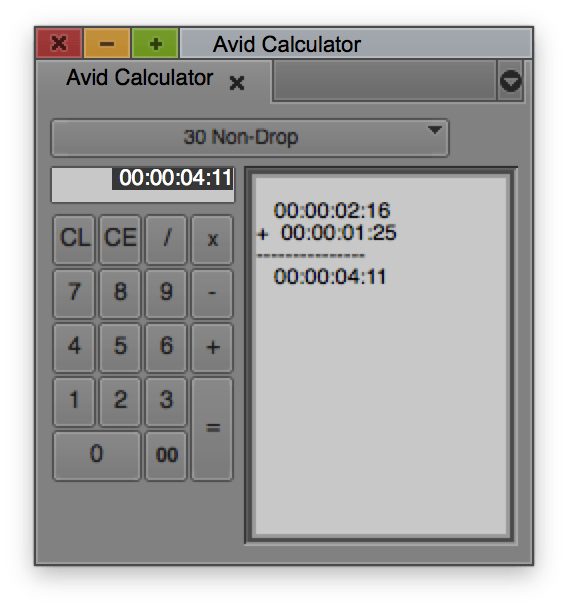 This calculator counts timecode!